TERRA LEE HEGGIE, beloved wife of Melvin Heggie (pre-deceased) passed away in Calgary, Alberta on Saturday, January 16, 2016 at the age of 62 years. She is survived by her two daughters Brandy (Dennis) Cardinal, Jennifer (Mike) Court and her 3 grandchildren Kolbi Creek Heggie, Walker Court and Austin Court. Terra was born January 30th, 1953 in Cardston, Alberta. She married her sweetheart, Melvin, right out of high school March 27th, 1971. She was an avid garage sale shopper, who loved to find treasures and make them into “barn yard chic” creations. She baked and created crafts of all kinds. She would sell the crafts at shows and take the treats to brighten someone’s day. Being the oldest sister, boss, keeper of all important dates and events, she was the glue that bonded her family together. She took care of us all whether it was a shoulder to cry on, a birthday to bake for, or an occasion to be celebrated and remembered. She spent many summers camping in the mountains quadding with Melvin and her family all without breaking her meticulously manicured nails. Our time with Terra was far too short. We selfishly would have kept her close for our own solace and comfort. We are grateful that her passing was peaceful and she was surrounded by love. She loved her family selflessly and for that we are grateful. We love you, we miss you, and we hope to follow your example in our lives. 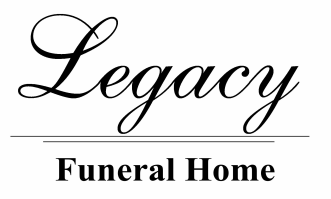 Friends may meet the family on Thursday, January 21st at the Raymond Stake Center from 7:00 to 8:00 p.m. or at the Church on Friday, January 22nd from 10:00 to 10:45 a.m. prior to the Service. The Funeral Service will be held at The Church of Jesus Christ of Latter-day Saints, Raymond Alberta Stake Center on Friday, January 22nd at 11:00 a.m. Interment to follow in the Temple Hill Cemetery, Raymond. In lieu of flowers donations may be made to the Canadian Cancer Society.